Mystic has a very tight layout. Study the photo at left. Along the bottom and up the left side is the Historic District. Just around the squarish corner of the harbor and down toward the bridge is the federalist downtown, with its Whalers Inn, drawbridge, restaurants and shops. The river below the bridge leads out into the Bay and on toward Nantucket and Martha's Vineyard. You're looking South in this photo. The interstate is a mile behind you, and the modern motels and the campground we list below are at that interstate. So if you stay down town you can walk to the Historic District, but if you stay out by the interstate, you'll probably choose to drive. There is nothing historic about the collection of motels and restaurants out by the interstate, but downtown is a real glimpse into the America of a century ago. The Whaler's Inn. We recommend this as your headquarters in Mystic. Facing the harbor and down Main Street, it is an 1803 seafarers' hotel beautifully updated. Facing you on the right is the original Hoxie House; behind it is the 1910 addition. Hoxie House rooms have fireplaces and Bascule Drawbridge views. The addition faces up the river. Poster beds and Ethan Allen pieces furnish the rooms. There is continental breakfast. Rooms in the addition are larger, but we prefer the older ones because whalers, ship captains, officers and common sailors stayed in them. 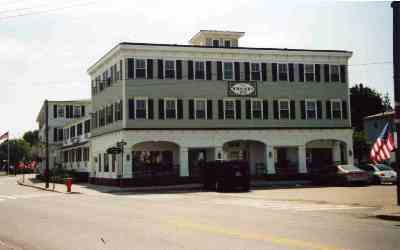 Great restaurants surround the Whaler's Inn. You're a block from a kayak rental dock and Voyager Cruises, which runs the Argia, a fully rigged schooner offering half day and sunset cruises daily. 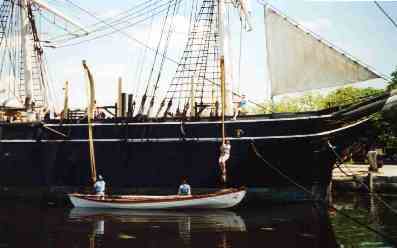 Across the street is the Poet's Lounge, a 39 foot classic sloop offering day long cruises. Quads in Summer run $150, but all lodging in this area is expensive. You're dividing the cost by four. A youth group in early June may be given special rates. Staying here is a once in a lifetime historic experience. 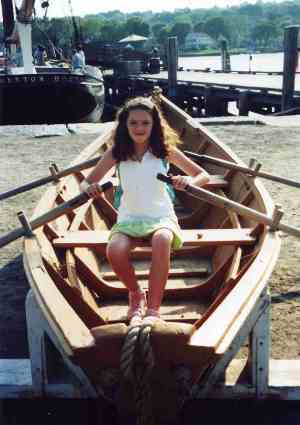 800-243-258. whalersinnmystic.com. However, if you're looking for something in a more modest price range but still classy, the Days Inn Mystic offers rooms for $70 a night. They have a pool and are right at the interstate exit a mile north of the historic district. If you're travelling with a laptop the wireless access here is excellent. Their free breakfast buffet is probably the best in Mystic. 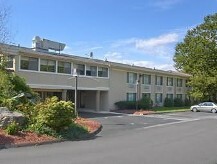 1-800-572-0574. www.daysinn.com, or google "Days Inn at Mystic." 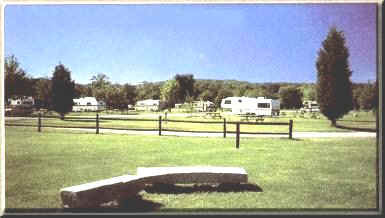 The Seaport Campground is three miles north of the historic district and is an outstanding site for group camping. It is heavily oriented toward RVs, but has a separate section for tents. Sites are large and grassy, with plenty of trees. Restrooms and showers are meticulously maintained. There is a pool, laundry facility, grocery, miniature golf course, and small lake for fishing. This is a very popular campground, so advance reservations are necessary, especially over the Memorial Day weekend and between July Fourth and Labor Day. 1-800-283-7183. www.seaportcampground.com. These alternatives are less than $100 a room.. 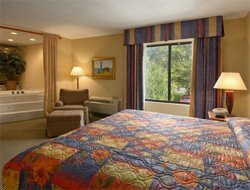 The five motels listed here are all on Route 27 a quartermile north of the historic district, right at the I-95 exit. You can drive south on 27 and park across the street from the historic district, but you need to get there before 10 am. Then you will need to remain parked there in the evening and walk on to the downtown. 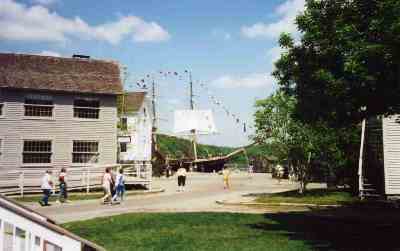 Mystic Seaport Inn. 860-536-2641. www.mysticseaportinn.net. Holiday Inn Express. 860-572-9065. www.hiexpress.com.